Molded to induce comfort and reduce fatigue, Fuji’s TVS and PTS Reel Seats are designed to make hand placement automatic. Perfectly contoured to your hand’s grip, these Fuji Reel Seats make fishing more efficient by incorporating comfort into performance. 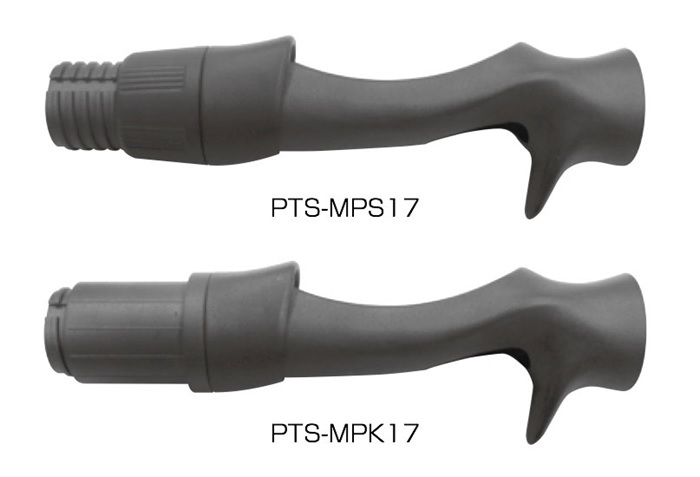 Fuji brought ergonomics to their list of priorities while molding the TVS and PTS Reel Seats. Forming to the contours of your hand, Fuji created these reel seats to put performance and comfort on the same plane of importance. Both models are made of a lightweight yet durable polymer that reduces fisherman’s fatigue during long hours on the water. This new reel seat has been flying off the shelf. Fuji’s TVS model is incredibly popular and simply grabbing it is all it takes to know why. Fuji’s TVS Reel Seat is ergonomically engineered to have windows to the blank exactly where your thumb and forefinger naturally rest. Directly touching both sides of the blank allows for a natural “V” shaped grip that gives you the precise control that few other designs can rival. 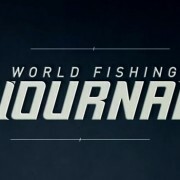 The Fuji TVS Reel Seat is a cool and comfortable mechanism that boosts fishing performance while reducing fatigue. This spinning reel seat introduces a special three-channel grooving within the barrel threads to ensure a smooth and secure fit for all four possible hood options. The casting crowd will prefer Fuji’s PTS model, which features a small trigger as well as wider, flatter base to accommodate the gear box on low profile baitcasters. Similarly, this casting reel seat also uses the three-channel grooving along the barrel threads to connect securely with four possible hood options. The Fuji PTS Low Profile Casting Reel Seat cradles into the palm of your hand to maintain a comfortable grip. The hood is primarily for maintaining the reel seat’s grasp of the reel foot while fishing, but hoods also have other added functions. Hoods conceal the three-channel barrel threads for protection while giving your handle assembly a smooth, sporty finish. The Standard Hood locks into place to protect the rod’s connection to the reel. 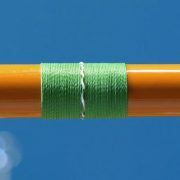 Depending on the size of your reel foot, this hood often leaves a large, unused portion of the barrel thread exposed. This just requires either a fine-tooth hacksaw or a dremel tool to remove the exposed portion of the barrel. 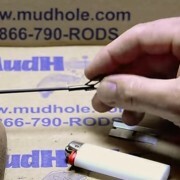 The Hidden Thread Sleeve similarly secures the reel foot to the reel seat, however unlike the standard hood, it extends further up the unused barrel thread. 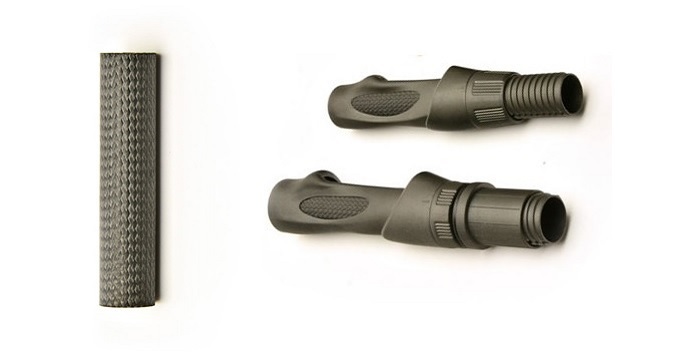 This extended smooth surface makes the Hidden Thread Sleeve the perfect port for your foregrip installation. The BACK STOP™ Lock Nut is a unique double-nut system that has a floating collar between each locking nut to secure the reel without tightening too much directly onto the reel foot. The floating collar will tighten when the locking nuts try to loosen by simply generating a pushing force against the hood nut. As the name suggests, the BACK STOP™ & Hidden Thread Sleeve captures both benefits under one hood. Between the easy installation of your foregrip and the gentle yet secure grasp of your reel foot, this hood is the ultimate combination. Both Fuji Reel Seats feel as sharp as they look. With open windows that create the unique “blank touch” design, Fuji’s TVS and PTS Reel Seats require an additional insert tubing that slides in between the reel seat and rod blank to complete its construction. Although reel seat arbors are still necessary, these insert tubes often reduce the size of the arbors. When it comes to the insert tube material, it’s your choice so don’t be afraid to get creative. 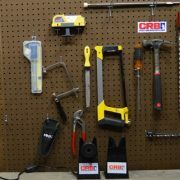 Choose anything from aluminum to acrylic or even wood and other common components. But with that said, the most popular and arguably, best-looking insert tubes are made from carbon fiber. Before mentioning its awesome appearance, carbon fiber insert tubing is ideal because its lightweight, durable, and inexpensive. Available with red, blue, gold, or silver accents as well as a solid matte black, each of the carbon fiber inserts look incredibly cool in the exposed windows of Fuji’s TVS and PTS Reel Seats. 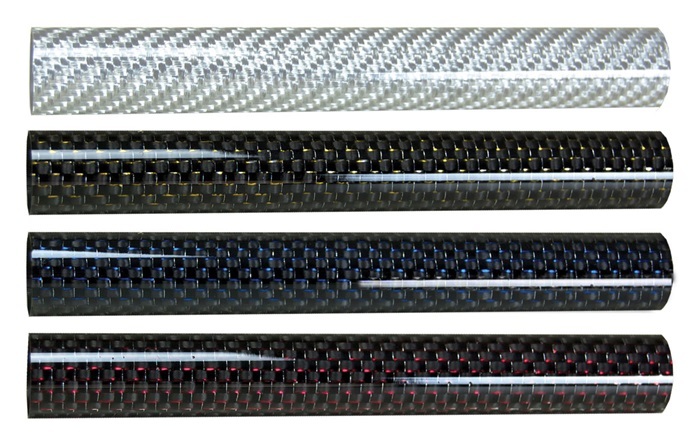 Fuji Decorative Carbon Reel Seat Inserts come in silver, gold, blue, and red. Available exclusively at Mud Hole Custom Tackle, the CFX Carbon Fiber Insert Tubes are an awesome option for any blacked out handle assembly. The CFX Carbon Fiber Reel Seat Insert comes with a sharp matte black finish. After the challenge of choosing the carbon fiber insert color, the installation process is a breeze. All you need is glue and a little patience. Start by laying some glue inside the reel seat. Use the access of the open window to lay the glue towards the center of the real seat. This will lead to a secure bond with the carbon insert that avoids spilling any excess glue out of the window slot. Next, before sliding the carbon fiber insert completely inside the reel seat, put glue along the final inch or so of the insert to bond the back end. Then wipe any excess glue away once the installation is complete. Finally, leave the reel seat and carbon fiber insert tubing out to dry before applying it to your rod blank. 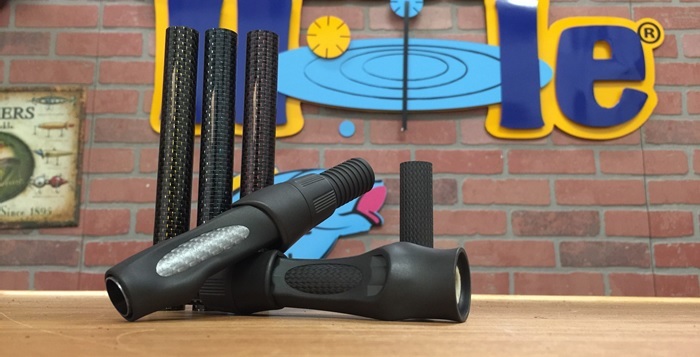 Remember: The CFX Carbon Fiber Inserts look awesome, but wait until you pair it with the CFX Composite Carbon Fiber Grips! 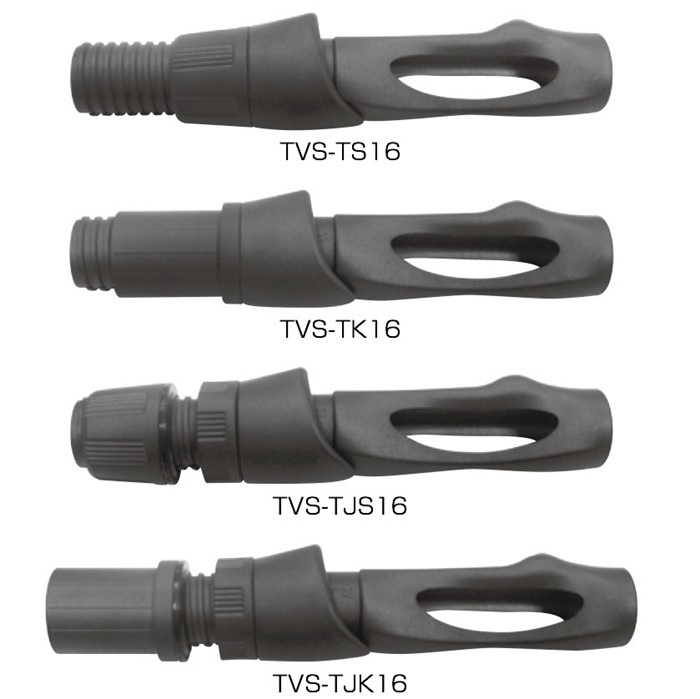 The grips come in various styles and lengths to suit your fishing application. Together with the inserts, this matte black combo will give you a sleek, uniform finish that will look great and perform even better.